Our men's and women's teams compete in the regional competition. We train and compete in Sportcentrum West, Spaanseweg 2 in West-Rotterdam. 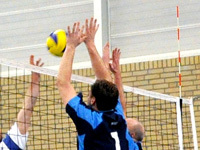 Our home games are played in Sportcentrum West. See 'Route' for our location and directions.